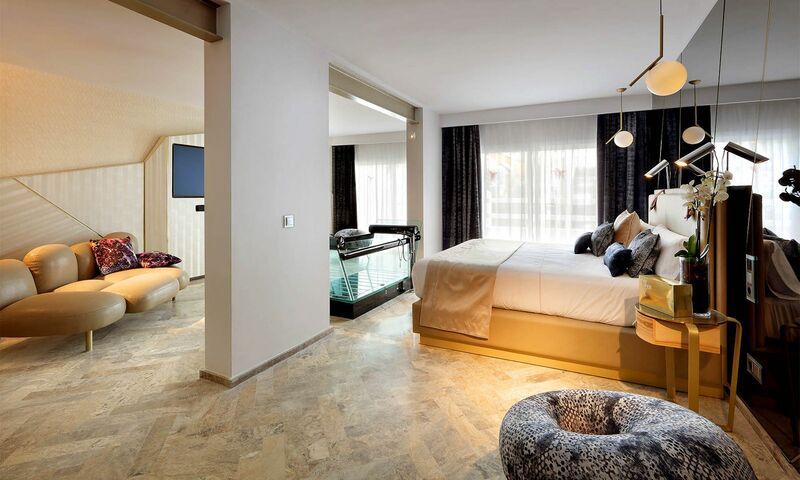 The new design of the suites at the The Ushuaïa Club. 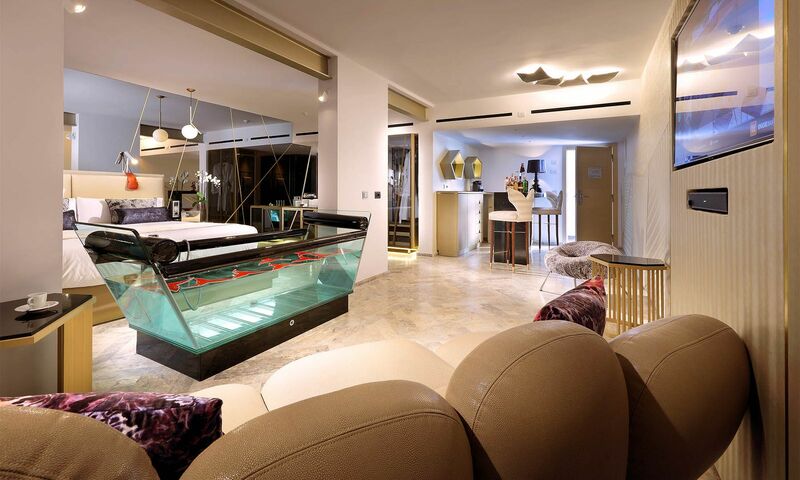 The new suites at the Ushuaïa Ibiza Beach Hotel will transport you to another level; there, you will step into a new world -an alternative reality- that can only be experienced from any one of the 42 suites in The Club. These renovated spaces offer a variety of views for every mood- you can enjoy the sea breeze with incredible views of the Mediterranean Sea, or step into the Club and become part of the Ushuaïa Ibiza experience from the inside, be one of the VIPs, rub shoulders with the stars of the party and enjoy the world’s most famous open air club however, and with whomever, you fancy. The beds, like clouds, have champagne-coloured 200-thread brushed cotton sheets emblazoned with the iconic red hummingbird that has featured in the Ushuaïa Ibiza logo from its beginnings and forms part of the brand’s identity. A full bar and full amenities and even the option to hire your own private barman, will make your room the most envied VIP area on the island. More info about The Ushuaïa Club Rooms. 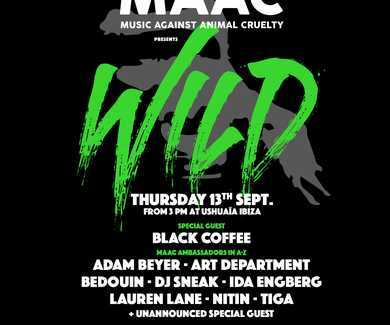 Wild, the most charitable event of the season at Ushuaïa Ibiza Beach Hotel. 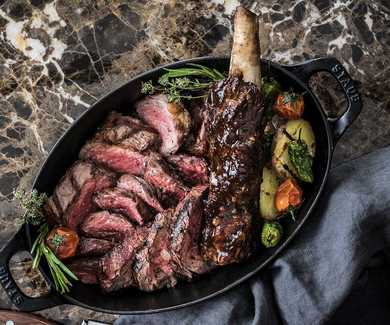 Indulge at Montauk Steakhouse Ibiza with its spectacular char-grilled steak and Cinco Jotas Iberian Ham. 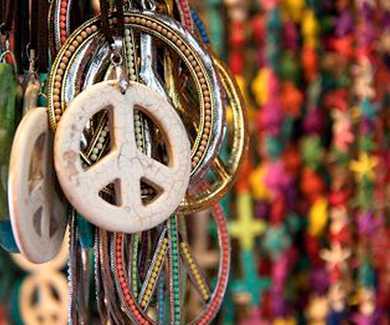 Hippy markets in Ibiza. Discover Dystopia, the new concept by Ushuaia Ibiza.